Alina Sanko / Алина Санько (born 31 December, 1998, Azov) is Miss Russia 2019. She is 1.74 m tall, measurements: bust - 86, waist - 58, hips - 86. Catriona Gray (born January 6, 1994, Cairns, Queensland, Australia) is a Filipina-Australian television host, singer, model, stage actress and beauty pageant titleholder who was crowned Miss Universe 2018, being the fourth Filipino national to win the pageant. Previously, Gray competed at Miss World 2016 where she placed in the Top 5. Her father is Scottish-born Australian and her mother is Filipina. Sthefany Gutiérrez is Miss Venezuela 2017. She represents her country at the Miss Universe 2018 pageant. Sthefany describes herself as an optimistic, intelligent, capable, and hardworking, thanks to her mother's influence. She grew up surrounded by love from a big family constituted by women, except for her dad and her younger brother. She came from a family of working women who do not set themselves the boundaries to succeed. Sthefany has one year left to graduate as a lawyer in her home country, Venezuela. In the future, she would also like to be a television host and reveals that she loves theater as well. She is 1.76 m tall, measurements: bust - 90, waist - 60, hips - 90. 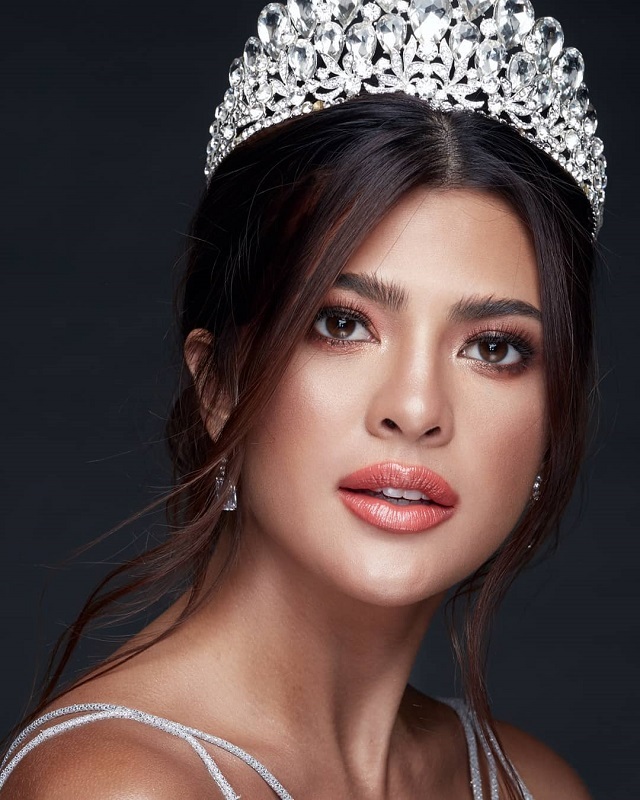 Kiara Ortega (born August 23, 1993) is a Puerto Rican model who was crowned Miss Universe Puerto Rico 2018. Kiara Ortega would best describe herself as a cheerful, spontaneous, and a helpful young woman. For her, the most important thing in life is living experiences that humanize her. By being a part of the Miss Universe platform, she hopes to spread a message of hope to unite our world. She is 1.70 m tall. Baek Ji-hyun / 백지현 (born March 27, 1993) is Miss Korea Universe 2018. Ji-Hyun Baek is a multi-talented super model and singer with a master's degree in Saprano. Ji-Hyun is currently training to become a pastry chef and barista so she can eventually open her own desert cafe. When she's not working on her craft, she likes to stay active through cross country cycling. Ji-Hyun is an avid philanthropist who is an active supporter of UNHCR, the UN Refugee Agency, for the past 6 years. Sabina Azimbaeva / Сабина Азимбаева (born February 14, 2000, Almaty, Kazakhstan) is an Uyghur beauty pageant titleholder who was crowned Miss Almaty 2017. She represents Kazakhstan at the Miss Universe 2018 pageant. Sabina Azimbayeva would describe herself as athletic and always involved in sports. Travel is a passion of hers as Sabina often visits remote villages where applied art of her people are preserved. She wants the creativity of her people to be known to the whole world. Sabina hopes to make her country proud at this year's Miss Universe competition. 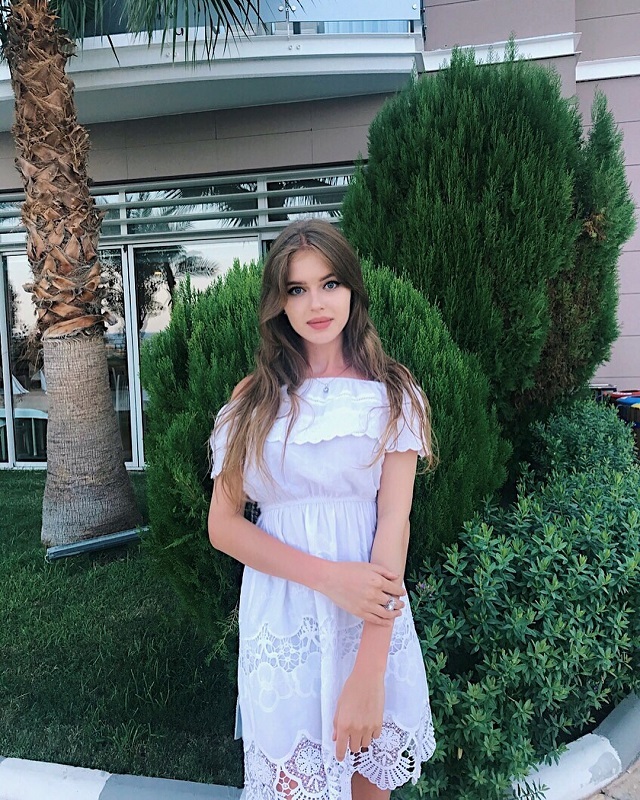 Yulia Polyachikhina / Юлия Полячихина (born February 6, 2000, Cheboksary, Russia) is Miss Russia Universe 2018. Yulia is currently studying journalism at Chuvash State University. Before winning the title, Yulia took competed in fitness aerobics dancing competitions and worked as an international model. She loves spending time with her family and two dogs. She also enjoys volunteering to make children happier. Yulia hopes to make her country proud at this year's Miss Universe competition. She is 1.73 m tall, measurements: bust - 80, waist - 58, hips - 85. Karina Zhosan / Карина Жосан is Miss Ukraine Universe 2018. From the age of sixteen years old, Karina Zhosan successfully built her acting and modeling career in Asia. In the same time period, she received a higher education in the sphere of hotel-restaurant and tourist business in her country. She studied foreign languages. The last half of her year, Karina devoted most of her time to travel and has visited nearly 15 new countries. During her travels, she launched a charity foundation for orphans kids in Kenya. After receiving the title Miss Universe Ukraine 2018, Karina plans to develop herself in the media industry in her country to help promote charity on the territory of Ukraine. Vanessa Ponce de León (born March 7, 1992, Guanajuato, Mexico) is a Mexican model and beauty queen who was crowned Miss World 2018. She is the first Mexican to be crowned as Miss World. Katarina Sonja Rodriguez (born August 1, 1992) is a Filipino-American MTV VJ, athlete, model, and beauty pageant titleholder. Katarina was born in Orlando, Florida to Filipino parents both of Spanish origin. She attended her high school years in Orlando before moving to the Philippines with her family, to study a double major in Business Management and Philosophy from De La Salle University in Manila. She is Asia’s Next Top Model 2014 2nd Runner-Up, Miss Intercontinental 2017 1st Runner-Up and Miss Philippines World 2018. Katarina Rodriguez speaks Tagalog, Filipino, English & basic Spanish.